Theme Park planning guides and resources for adults traveling without kids! It’s 90 degrees, mid-July, in Southern California. Your Fitbit says that you’ve walked 6 miles today and you still have 3 hours until World of Color. The wait for the show is too short to head back to your hotel for a nap, but long enough to make you feel exhausted and maybe even bored. Everyone in your travel group is restless and sweaty. Is there anywhere in Disneyland where you can retreat that doesn’t require a wait in line or extra cost? Cue Disneyland’s best little secret: Animation Courtyard. This building is placed in the middle of Hollywood Land in California Adventure and if you don’t look hard enough, you’d think it was a fake building or another piece of scenery leading to Guardians of Galaxy. In response to my post last week: 8 Ways to Alleviate Stress on Your Disney Vacation, I want to throw a spotlight on one great place to unwind at Disneyland. 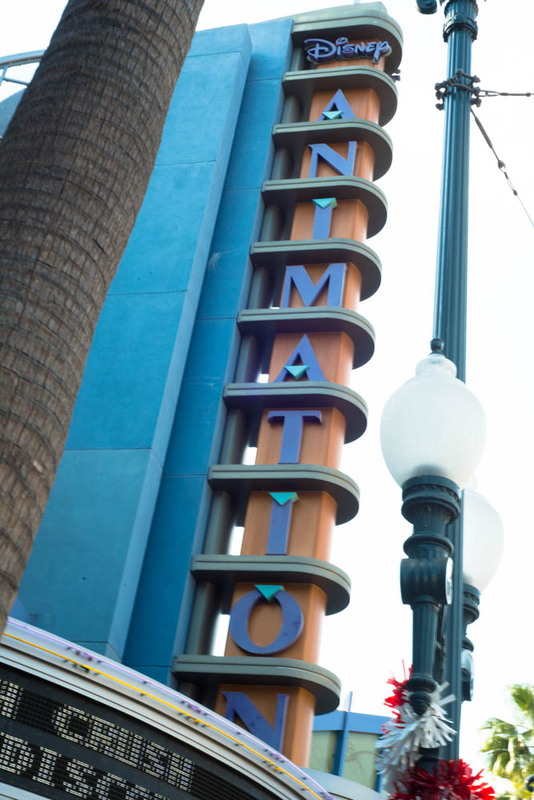 Vacations never have to be stressful, so find your way to Animation Courtyard and regroup! 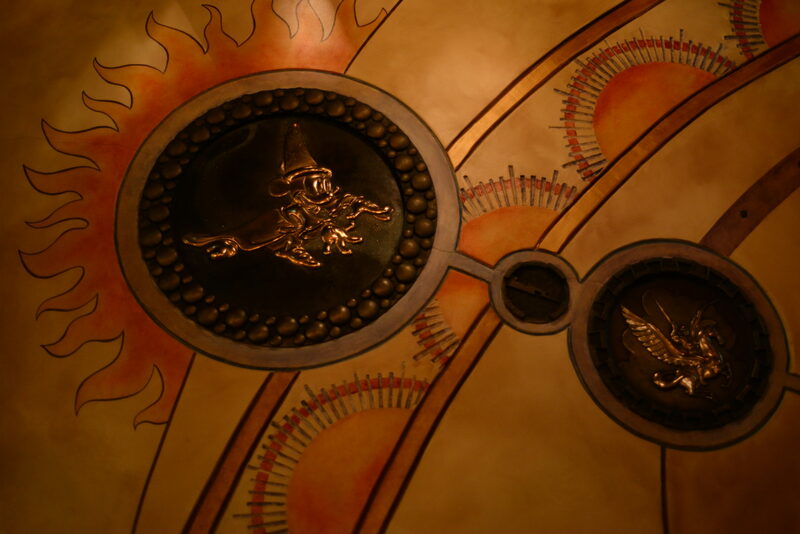 Gallery & Projection Room: Enter through the double doors of Animation Courtyard and be greeted by “Once Upon a Time” inscribed on the winding hallway. 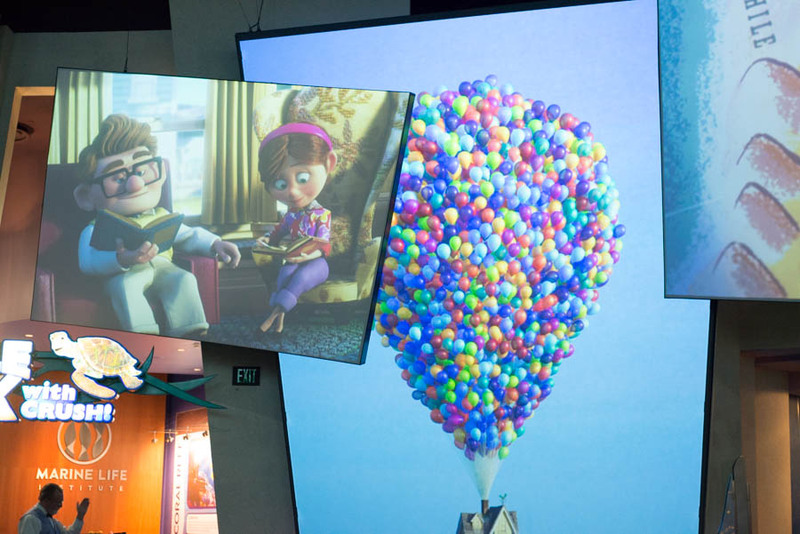 This opens up to a massive room filled with Disney music and animated Disney shorts projected on wall-sized screens. The speaker system is professional quality and envelops you in gorgeous music, without being too loud or overbearing. This allows you to have some time to yourself or have some quiet conversation. For a moment, you’ll forget that you’re in a giant park surrounded by thousands of people. There a few couches spread out around the floor and if there’s no seating, pull up a piece of carpet and rest those aching feet. I like to grab a frozen lemonade from the ice cream cart located outside to accompany my midday r&r. Sorcerer’s Workshop: There’s a walkway behind the line for Anna & Elsa that leads underground to the interactive rooms. 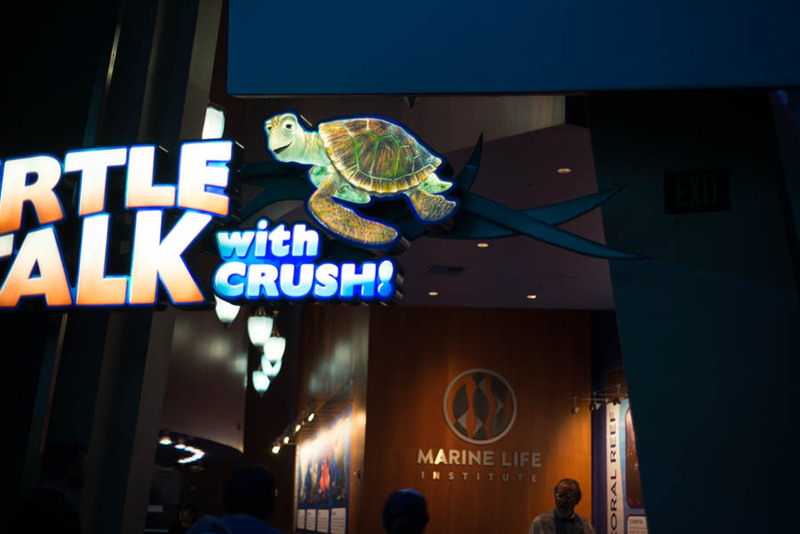 This walk-through attraction is hardly every crowded because it’s often overlooked. 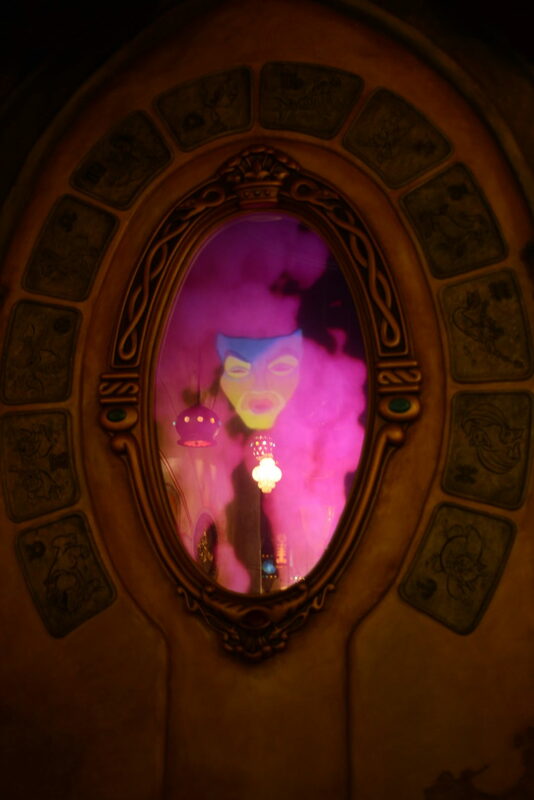 You can play with an old school hand-crank animation technology, take pictures with the Magic Mirror, and explore the Beast’s Library. This place could definitely use a facelift due to it’s dated technology, but it’s cute enough for a distraction. Animation Academy: Every 30 minutes a trained Disney Animator leads an interactive drawing class, teaching everyone how to draw a Disney character. You’ll be thankful for a chair to rest and if you have kids, an activity to distract them for a good 20 minutes. You can view the class schedule here. Character Close-Up: I remember when Chicken Little used to make appearances here, but like most things, he became unrecognized by kids and was given the boot by Frozen. The area is quite cute though. Modeled after their home in Arendelle, a Cast Member will do the “Anna knock” on the front door and on the other side is Anna and Elsa. In the middle of summer, we walked right up to the Princesses, but during Spring Break there was a bit of a wait. Either way, it’s the only dedicated meet n’ greet for these two in Disneyland. Fun Fact: In Shanghai Disneyland, there’s a similar attraction called Marvel Comic Academy where you can learn how to draw Marvel characters during a live-action, interactive show! Disney World has a similar attraction, but most of it is dedicated to Star Wars meet n’ greets due to the highly anticipated Galaxy’s Edge, coming in late 2019. Exit Through the Gift Shop: The exit empties into “Off The Page,” featuring Disney artwork, books, and specialty jewelry you can take home. This is my favorite merch store because it offers items that aren’t typically found in every other gift shop. Occasionally, they’ll have a Disney Artist drawing working at the art desk in the corner that you can observe. 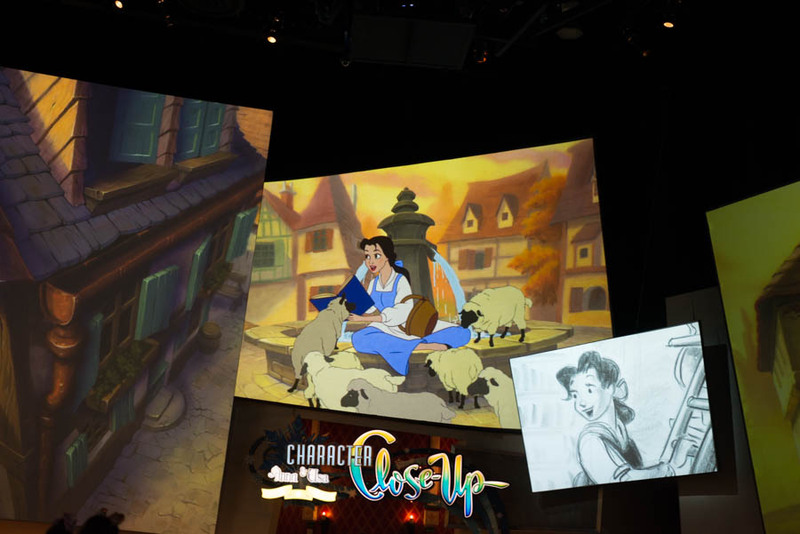 It’s very similar to The Art of Disney in Disney World at Disney Springs. There are very few spots in Disneyland where it feels secluded enough to relieve some stress. 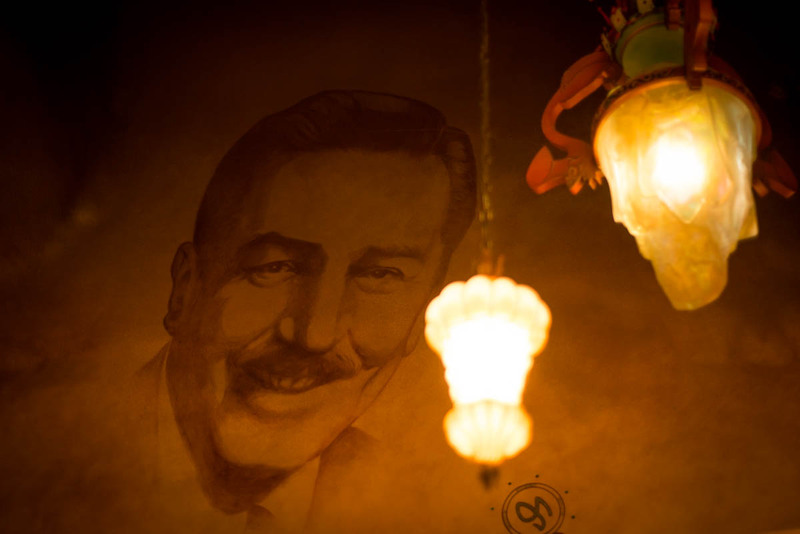 Not only does this place capture the essence of Disney magic, but also cranks up the A/C and turns down the lights to make you feel human again. As I’ve said before, a vacation should not be stressful and make you ache for home. 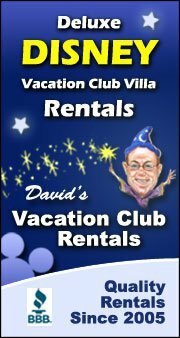 For more tips on how to make your vacation a stress-free zone read my earlier post here. Have a magical day, friends! Follow us for theme park news! Free Cheat Sheet: 15 Ways to Save at Disney! Disney World's Christmas Party Pumpkin Spice Waffle Copycat! This is a personal blog and all opinions are my own. I am not affiliated and in no way part of The Walt Disney Company. For official information concerning Disney, please visit Disney.com. Green Monorail Destinations LLC is an independent affiliate of Nexion LLC.